Lieutenant Colonel Prasad Purohit, one of the accused in the 2008 Malegaon blast case, has moved the Supreme Court seeking a court-monitored SIT probe into his alleged abduction, illegal detention and “brutal torture” by Maharashtra ATS coercing him into making a confessional statement of his involvement in the blast. Purohit has also sought compensation for the illegal detention and torture he was subjected to. The petition had come up before a bench of Justice AM Sapre and Justice UU Lalit on Monday but the latter recused himself from hearing the petition. Purohit has been claiming that there have been attempts to implicate him in the 2008 Malegaon blast case wherein he is accused of collecting funds to procure arms and organising meetings to carry out the blast in Malegaon in Maharashtra. In his petition, Purohit submitted that his ordeal began with being issued ‘Movement order’ dated 28.10.2008, which under the orders of the Army authorities, required him to travel from his then place of posting i.e., Pachmarhi, Madhya Pradesh, to Integrated HQ of MoD (Army). However, upon reaching the Bhopal airport, the officer accompanying him stripped him of his personal belongings, including his I-Card, mobile phone and other personal items. He said he was forcibly taken to Mumbai by Col Srivastav, the officer who accompanied him. Upon reaching Mumbai, he was never handed over to the Army authorities but was whisked away in an unmarked van to an undisclosed place in Khandala (between Mumbai and Pune), where he was forcibly confined to a room in a bungalow and brutally tortured for eight long days. Purohit said he later learned that he had been abducted and tortured by ATS officers in order to extract a confession of having committed a bomb blast at Malegaon. Purohit rued that he, despite being a serving officer in the Intelligence Corps of the regular Indian Army, had to spend nine years in jail before being enlarged on bail by the apex court. Purohit said he moved court following a recent interview given by former Joint Secretary, Ministry of Home Affairs, RVS Mani to various media houses and his book entitled The Hindu Terror—Insider Account of Ministry of Home Affairs 2006-2010, which revealed information indicating that he had been framed by some factions in the previous government for political reasons, including introducing a face of terror under the guise of ‘Saffron Terror’. “The content of the interview clearly suggests the implication of the Petitioner in a false criminal case and branding him as a ‘Terrorist’ only for the reason that ‘he was breaking the back of the radicals such as SIMI, ISI terror network etc,” he said. Purohit said the government of that day implicated him and demolished the source network that was developed meticulously by him and other intelligence officers of the Indian Army and jeopardised the security of the nation. “The said sources developed over a period of time by the Petitioner and others were also made co-accused along with the Petitioner, some of whom have reached the logical conclusion of their ordeal and have been discharged from the case,” he said. The NIA had booked Purohit, Pragya Singh Thakur and eight others in the 2008 blasts. 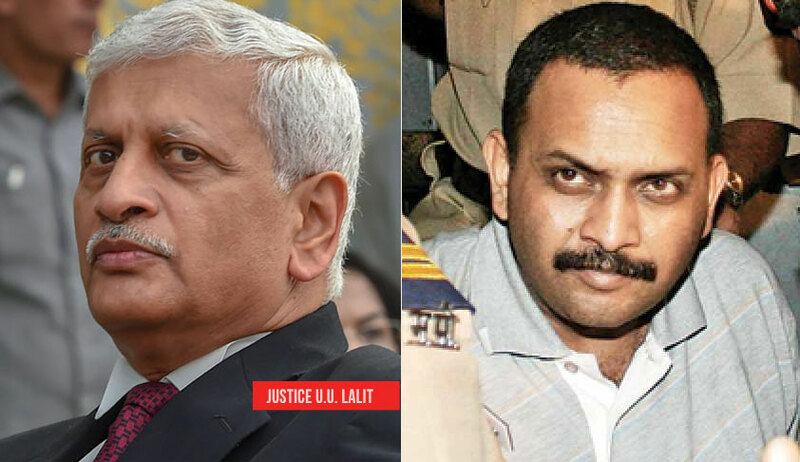 In 2017, Purohit was granted bail by the Supreme Court.